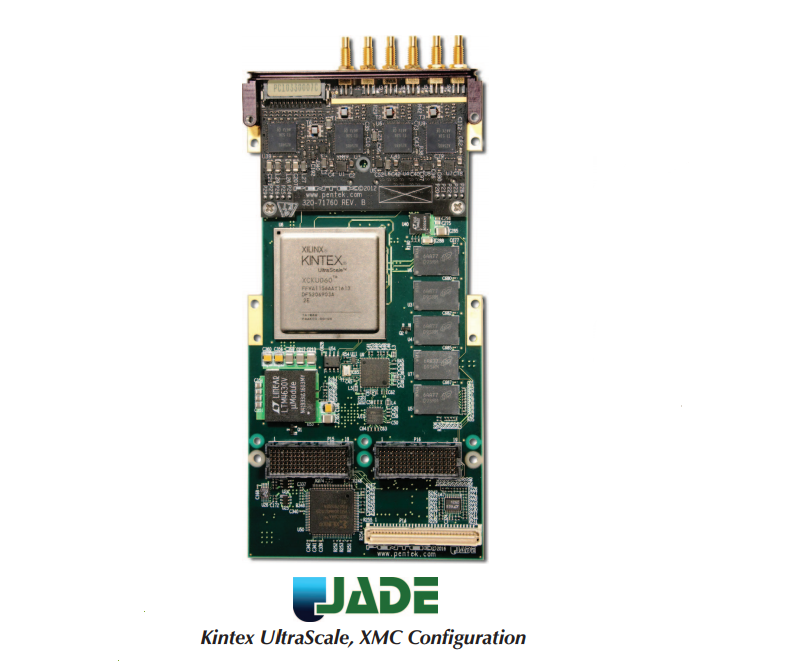 Evolved from the proven designs of the Pentek Onyx® and Cobalt® families, Jade raises the processing performance with the new flagship family of Kintex UltraScale FPGAs from Xilinx. As the central feature of the board architecture, the FPGA has access to all data and control paths, enabling factory-installed functions including data multiplexing, channel selection, data packing, gating, triggering and memory control. 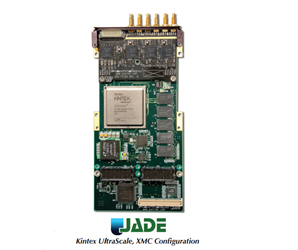 The Jade Architecture organizes the FPGA as a container for data processing applications where each function exists as an intellectual property (IP) module. Each member of the Jade family is delivered with factory-installed applications ideally matched to the board's analog interfaces.